SHAH ALAM: The Selangor police have intensified cooperation with various agencies in their investigation into the toxic alcohol poisoning that has claimed 24 lives in the state since Sept 17. 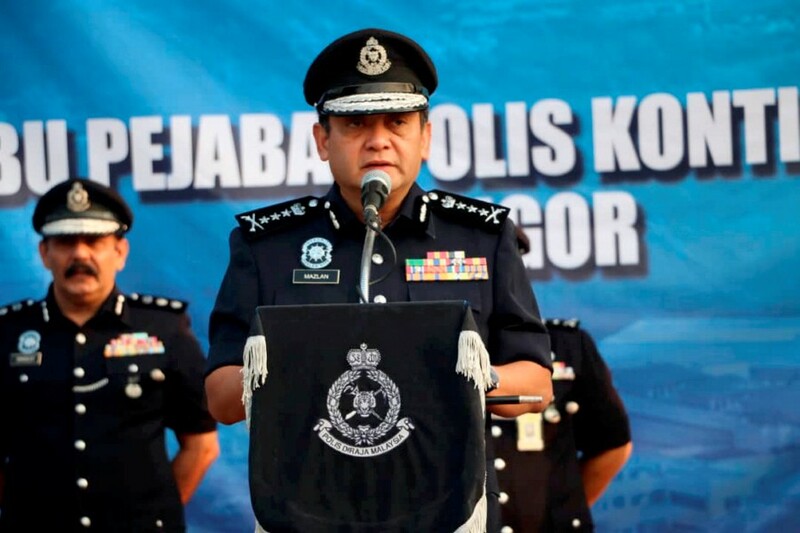 Selangor Police chief Datuk Mazlan Mansor said the cooperation of the Ministry of Health and the Customs Department was sought to inspect premises allegedly selling the liquor and to identify the authenticity of the labels on the liquor bottles. “We have to ensure whether the labels are authentic or fake. Most of these liquor bottles have no Customs label. We are also investigating who the supplier is and whether the liquor came from the same source. So far, we have no lead on this. “The investigation will certainly fall under Section 304 (b) of the Penal Code because the perpetrator’s action has claimed many lives,” he said. Mazlan told this at a press after the monthly assembly at the state contingent headquarters here today. He said that so far the police had detained 15 traders and workers of liquor outlets, comprising eight Malaysians and seven foreigners aged between 20 and 30, in 17 raids in Shah Alam, Gombak, Sungai Buloh, Kajang and southern Klang. He said 1,480 bottles of liquor and 1,670 cans of various brands of beer were seized in the raids. “The death toll remains at 24 in Selangor. Seventeen more are undergoing treatment while 17 others had been discharged from hospitals. “We have yet to receive the official post-mortem reports from the hospitals and the Chemistry Department,” he said.